Late last year we announced that Divinyls were returning to the stage, with founding member, guitarist and co-songwriter Mark McEntee returning with a talented new line-up hitting the road in March to honour the legacy and celebrate the indelible music created with the late, great Chrissy Amphlett. 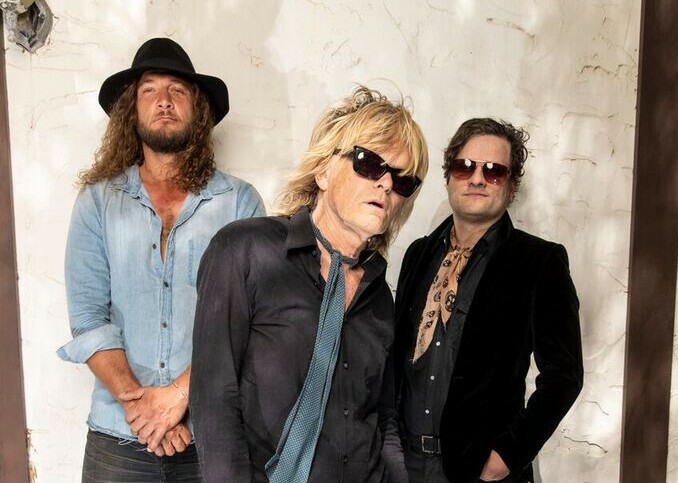 Ahead of their upcoming Australian tour, the rebooted Divinyls has introduced the band’s cracking new vocalist Lauren Ruth Ward and all Australian rhythm section via a sneak peek performance clip taken at recent rehearsals in Perth, Western Australia. The new combination featuring McEntee, Lauren Ruth Ward and Aussies J Cortez and Malcolm Clarke rip through a snippet of the classic Divinyls track Boys In Town breathing a new energy into the song, paying homage to the past but definitely dragging the material kicking and screaming into 2019. Lauren Ruth Ward is a force of nature. Having moved to Los Angeles in 2015, the Los Angeles-based artist quickly built a large and loyal local following with her 70s-tinged psych-blues swagger and voice of gold. As a young up and coming artist Lauren brings her own voice and message to Divinyls, while at the same time respecting the legacy and lyrics of the late great Chrissy Amphlett. The reformed Divinyls hit the road in late February with only one thing to prove, how great these enduring anthems still are and how much they still mean to so many. You can catch Divinyls at the Lorne Hotel on Sunday March 10. Tickets via Oztix.